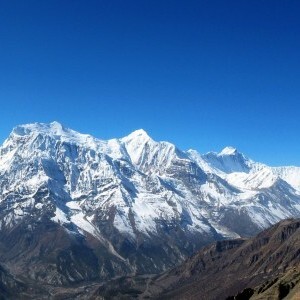 Annapurna adventure trek is one of the most beautiful treks that encompass easy walking through the villages inhabited by diverse ethnic groups and dense forest with a variety of wildlife and vegetation situated beneath the lap of regal Himalayas. This is the easiest of our adventures and may involve walking for up to 5 hours per day. You are likely to cover between six to fifteen kilometers per day, over hilly terrain, on well-defined trails. Altitudes may exceed 3000 meters. This trek involves multiday walking for up to two weeks. A good level of fitness is required. Domestic flight tickets from from Kathmandu to Pokhara. 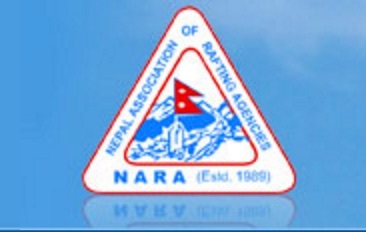 Be met by your Adventure Hub Nepal, (AHN) guide and transfer to hotel. Relax and recover from jetlag and then have dinner in a local restaurant nearby the hotel in the Thamel area of Kathmandu. Stay overnight in hotel. personalized items or gear for the trip. Stay overnight in Kathmandu. Kathmandu to Pokhara and trip preparation. the day getting prepared for the trek. Stay overnight in Pokhara. After driving approximately 1 hour from Pokhara, we begin our trek at Nayapul. stay for the night in a guest house. Ulleri is a large Magar village at 2070m. 2460m. After an hour or so of walking, we will arrive at picturesque Ghorepani. Mountains. Overnight at guest house in Ghorepani. Trek up Poonhill (3210 m) for the spectacular sunrise and then on to Tatopani (1190m). 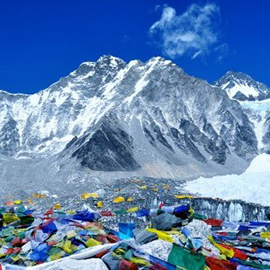 see superb views of the sunrise and panoramic views of the Himalayas. submitting Poonhill, we will trek mostly downhill to Tatopani. You will have the opportunity to see some or all of these mountains today; Mt. you physical and mental refreshment as well. Overnight in Guesthouse at Tatopani. bikes and get fitted out for cycling. Bike from Tatopani to Beni 3 or 4 hours. surroundings of the Himalayan foothills to the village of Beni. Overnight at the guesthouse at Beni. (899 m). Bike from Beni to the White Water Rafting and Kayaking starting point on the spectacular Kali Gandaki River. We will ride mostly downhill on the road through villages and rolling hills. whitewater rapids. This will take 2 or 3 hours. equipment for whitewater rafting. Camp on the riverbank. Whitewater Rafting and Kayaking on the Kali Gandaki (class 3-4). Whitewater Rafting and Kayaking on Kali Gandaki continues. More amazing whitewater as we descend through one of the deepest gorges in the world. Drive to Pokhara and enjoy group celebration dinner. In the afternoon on day 11, we take out at lunchtime and have lunch after the pickup. Drive approximately 4 hrs to Pokhara. arrive in Nepal. Stay overnight in Pokhara. When you book by the end of May we will give you a discount of $ 100- USD!! We are super excited to offer you this exclusive discount. #Easter offer. Don’t hold back. Book now! !